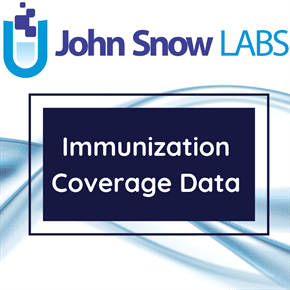 This dataset contains estimates of influenza and pneumococcal immunization coverage rates shared by the Big Cities Health Coalition members represented by the largest metropolitan health departments in United States. Influenza immunization estimates are for two moajor vulnerable categories, adults of 65 years and older and children and teenagers under 18 years old. The source of data is represented by The Big Cities Health Coalition (BCHC), a forum for the leaders of America’s largest metropolitan health departments to exchange strategies and jointly address issues to promote and protect the health and safety of the people they serve. BCHC is a project of the National Association of County and City Health Officials (NACCHO), which represents the nation’s 2,800 local governmental health departments. Most of the data came directly from cities, while some were secured from the U.S. Census or other similar publicly available dataset where city data were available. For the most part, jurisdictions reported their three most recent years of data, which were 2012, 2013, and 2014. Data prior to 2010 were not included, even if it meant a jurisdiction only had two years of data available. The nature of the data varies considerably. When data were not provided or available, the appropriate cell was left blank. Not all health departments were able to provide data for all indicators and, in cases where denominators were too small, certain rates for subpopulations were not displayed. Most data were reviewed by individual cities as well. Where sample sizes allow, indicators are broken down into subpopulations for race and ethnicity categories. For most jurisdictions, the default options were White (Non-Hispanic), Black (Non-Hispanic), Hispanic, Asian/Pacific Islander, American Indian/Alaska Native, and Other. In areas where certain populations were too small, the various subpopulations were included in the “other” category with any additional racial/ethnic minorities. In many of the California cities, as well as Seattle, reported numbers only represent Asians; Pacific Islanders are not included. Some jurisdictions also report mixed-race numbers, and where they do, those numbers are reported as “Multi-racial”. Percent vaccinated for adults over age 18 means one dose of annual flu vaccination in a given year. Similarly, percent vaccinated for children under 18 years of age means a child received at least one dose in a calendar year. Note that these data were difficult to obtain and sources vary. Where possible, Behavioral Risk Factor Surveillance System (BRFSS) data are reported for adults. Sources for childhood immunization data vary. Data on the percent over age 65 vaccinated for pneumonia were secured wherever possible, and data that were generally not comparable were left out. Dataset contains the BCHC requested methodology for every indicator, along with sources of data used by the BCHC member and notes about the methods and data. The ICD-10 code corresponding for the need of vaccination is Z23. Vaccinated for Influenza Under 18 (children) 2013 Both All 64 Chicago Illinois IL YRBS/YRBSS (or similar survey). Percent of population under age 18 vaccinated for seasonal flu. Vaccinated for Influenza Under 18 (children) 2012 Male All 3.3 Phoenix Arizona AZ YRBS/YRBSS (or similar survey). Percent of population under age 18 vaccinated for seasonal flu. Vaccinated for Influenza Under 18 (children) 2012 Both All 6.5 Phoenix Arizona AZ YRBS/YRBSS (or similar survey). Percent of population under age 18 vaccinated for seasonal flu. Vaccinated for Influenza Under 18 (children) 2013 Male All 3.5 Phoenix Arizona AZ YRBS/YRBSS (or similar survey). Percent of population under age 18 vaccinated for seasonal flu. Vaccinated for Influenza Under 18 (children) 2013 Both All 6.8 Phoenix Arizona AZ YRBS/YRBSS (or similar survey). Percent of population under age 18 vaccinated for seasonal flu. Vaccinated for Influenza Under 18 (children) 2014 Male All 2.8 Phoenix Arizona AZ YRBS/YRBSS (or similar survey). Percent of population under age 18 vaccinated for seasonal flu. Vaccinated for Influenza Under 18 (children) 2014 Both All 5.4 Phoenix Arizona AZ YRBS/YRBSS (or similar survey). Percent of population under age 18 vaccinated for seasonal flu. Vaccinated for Influenza Under 18 (children) 2012 Female All 3.2 Phoenix Arizona AZ YRBS/YRBSS (or similar survey). Percent of population under age 18 vaccinated for seasonal flu. Vaccinated for Influenza Under 18 (children) 2013 Female All 3.3 Phoenix Arizona AZ YRBS/YRBSS (or similar survey). Percent of population under age 18 vaccinated for seasonal flu. Vaccinated for Influenza Under 18 (children) 2014 Female All 2.7 Phoenix Arizona AZ YRBS/YRBSS (or similar survey). Percent of population under age 18 vaccinated for seasonal flu.